The world of technology is developing in a number of aspects in the recent days. India being a country with more population, in specific the youth population, is one of the leaders in the world of digital technology. Even though there are many places in India still present without any access to the digital world, the change is being spread in a large basis across each and every place in India. Government is also initiating some schemes like Green City Yojna to make sure that they are delivering digital technology in a perfect manner across rural community. Recently the scheme gets implemented in the Kolkata city and it receives strong welcome by the public. 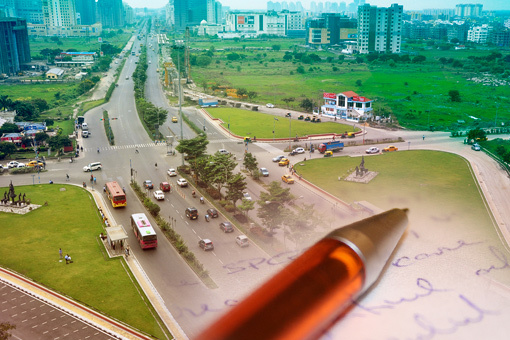 Under the scheme of Green City Yojna, the proposal is to develop multi community across various villages in regions that are surrounding to Kolkata and make sure that they are being turned towards the national stream with the help of digital technology. There are many people in Kolkata now making use of various technologies like electronic payment and mobile based transactions. This is being taken to the next level with the help of Green City Yojna wherein rural community is the intended audience for the scheme. Rural communities that are being developed through Green City Yojana scheme is set to be monitored through CCTV to make sure that the resources are being utilized in a perfect manner by local communities. Beside this, the ultimate goal is to provide continuous feedback about the scheme to the concerned government departments and ensure that the corrective measures to be taken to improve environment is being enacted within a short span of time and things are made fine without involving any other bodies for monitoring and developing resources provided. Even though places that are adjoining to Kolkata are usually having high access to the world of digital technology, there are a number of instances where rural communities are moving out of the scope of digital world. To bring them into the world of digital technology in an effective manner, this Green City Yojana scheme is much beneficial. Depending up on the population and size of the state rural communities, level of funding will be varying. Funds that have been allotted under the Green City Yojana scheme will be closely monitored by government to make sure that they are being properly utilized by intended people and to ensure whether the benefits provided by the scheme satisfies the people needs.